On Saturday October 15, 2016, Alfred – A Cooperative Institute for Arts and Culture, will open a double exhibition titled ‘Washing the dead’, which will feature the works of Ahia Canna and Elianna Renner. This exhibition will be the eighth in the annual theme of 2016 – The Humane. The annual series is divided into two sequences of exhibitions that attempt to examine the possible content of "the human" as it is perceived today: 'the relations between the human and the divine' and 'the relations between the personal and the general'. Both sequences attempt to stress the concept of The Human. All of the exhibitions stand alone, artistic and curatorial, but share a common concept. 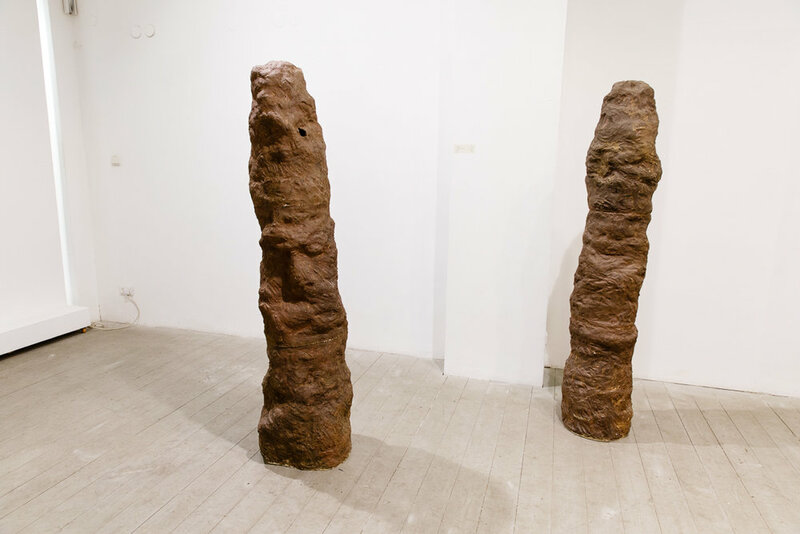 Ahia Canna (Israel) and Elianna Renner (Switzerland/ Germany), will exhibit side by side two installations, both presented for the first time, and each functions as a stand-alone solo exhibition. Canna will exhibit a sculptural installation, composed of five human-height objects, made of ceramics. 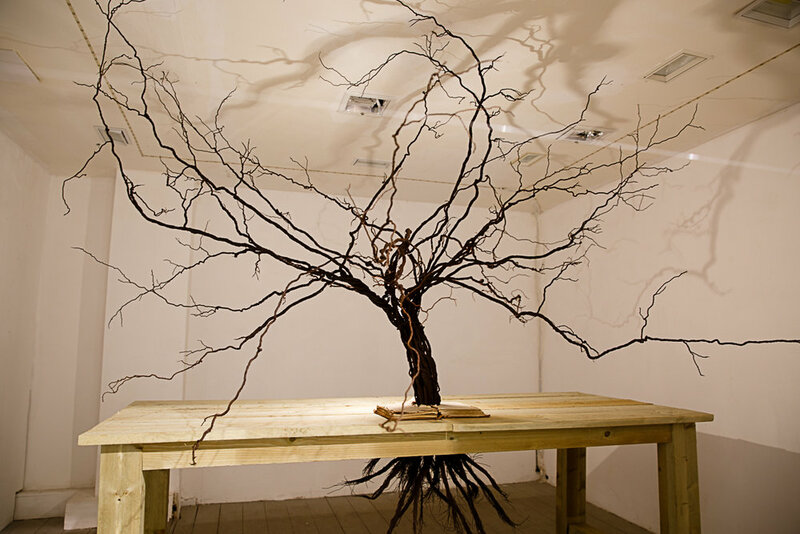 The objects bring to mind a hybridization between a human body and a tree trunk, both of which seem lifeless. 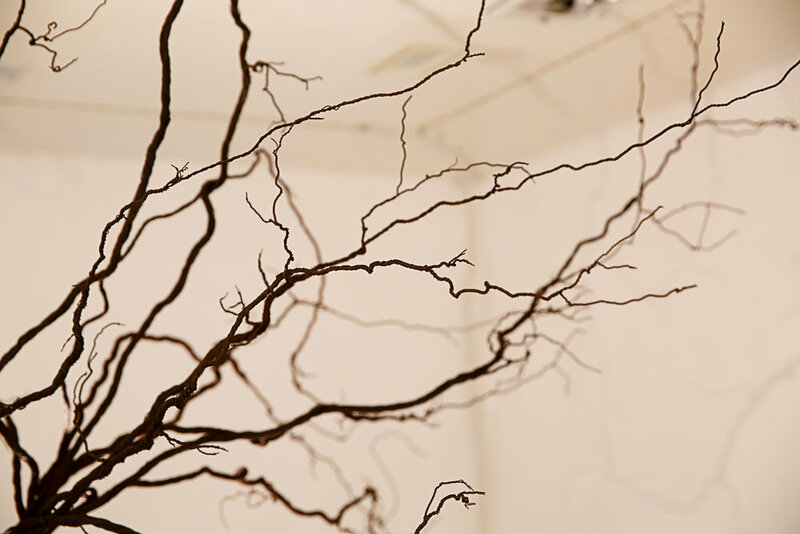 Together the objects create a small forest in the center of the gallery space. These objects refer to humanoid (anthropoid) ceramic coffins used in the Canaanite period. As someone who experienced death close to him, and grew up in a religious home and left his religion, Canna wonders whether there is a world beyond, where justice is served in a way that cannot happen in this world. Renner will exhibit a four channel video installation, 'La Organizacion' in a separate screening room. The video installation focuses on an abandoned Jewish cemetery in Buenos Aires, Argentina. Somewhere in this graveyard lies Raquel Liberman, a woman of incredible courage and resolve, who single handedly denounced a human trafficking ring that entrapped her and led to its collapse. The cemetery belonged to the Jewish human trafficking ring called Zwi Migdal, which trafficked Eastern European Jewish women to Argentina between the years 1870–1930. The Jewish communities in Argentina refused to cooperate with the ring, thus they had to establish a cemetery of their own. The video installation that oscillates between current realities, staged action and historical fact, comprises two parts; in its first part Renner leads the physical cleaning of the place, unveiling the cemetery from the overgrown “jungle” it became. In its second part she leads a performance/ commemoration ceremony at the cleaned up location, through which she cleans and honors the names of these women, and in particular the name of Raquel Liberman. Renner gives her a special honor by setting of a memory plaque in her memory. Liberman was a mother of two children that emigrated from Warsaw to Argentina. Losing her husband after two years, led her to a dire economic situation that drove her to prostitution. In 1930 Liberman escaped the prostitution milieu and pressed charges in court against the pimp ring. The courts acted quickly, hundreds of active members were captured, brothels were closed, dozens of Jewish pimps and “madams” were deported and the pimp ring had collapsed. Liberman drew public attention to her fate, and saved the lives of several other women trapped in forced prostitution. the next world and its eternal rest. Both artists take care of the dead, the one relates to their memory and honor in an historical and social context, the other relates to the body and to its material quality from a personal point of view. 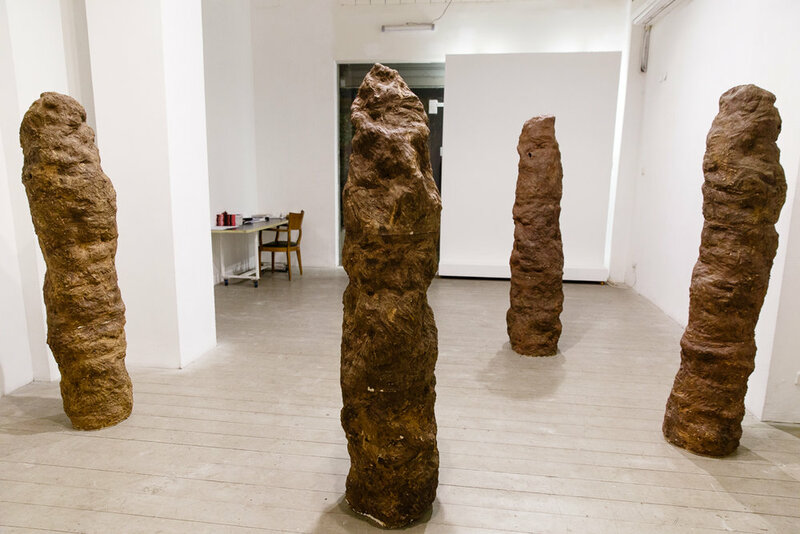 Ahia Canna, born in 1983, graduated from the Department of Ceramic Design, Bezalel (2014), exhibited in a number of exhibitions, currently exhibiting at the Haifa Museum of Art, won a scholarship "First Studio" (2014-2015), his works can be found in START collection and private collections, live and works in Tel Aviv. Elianna Renner, multimedia artist and researcher, creates performances and audio-visual installations. Born in Switzerland (1977), lives in Germany. Fellow at the University of the Art, Bremen, where she graduated her master's degree with honor (2009). Renner won awards from the city of Bremen and from GEDOK organization, Germany, and awards from various organizations for the realization of her research around the globe. The Stiftung Kulturwerk- VG Bild Kunst supported the presentation of Elianna Renner's project. During the exhibition several events will take place, among which a gallery talk, a lecture of Elianna Renner about her project "Tracking the traffic", that led to the exhibition, and an evening of death, funerals and cemeteries stories, led by the Rabbi Sillvina Chemen (Argentina). Dates and details of the events will be present on the gallery's website and facebook page.